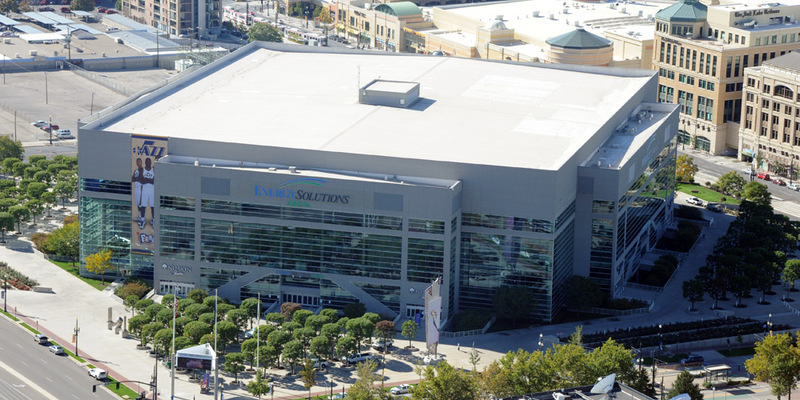 Energy Solutions Arena in Salt Lake City, UT is an indoor arena that seats 19,911 and is owned by Larry H. Miller Group as home to the Utah Jazz Basketball team. After a direct hit by a tornado that blew out more than 700 windows and made the national news, the roof needed to be replaced. The requirement was that its replacement offer cutting-edge wind resistance. In addition, scheduled NBA games could not be interrupted. To accomplish this, Clark’s Quality Roof’s teams of technicians installed a re-roof comprising 175,000 square feet, while simultaneously repairing existing tornado damage and waterproofing. 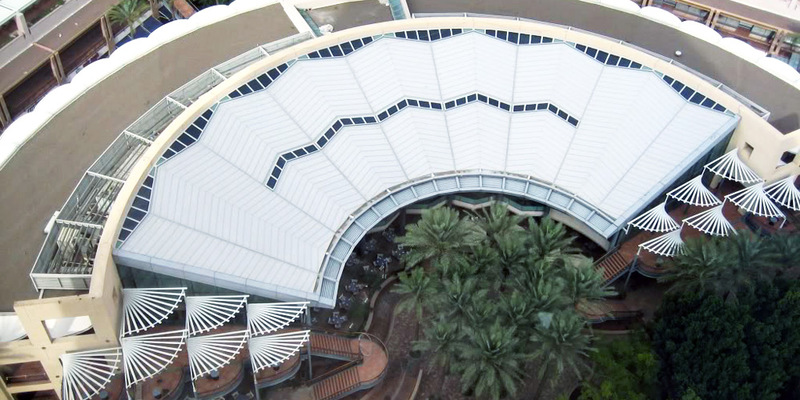 CQR worked with Sahara Construction-Larry H. Miller Group, as well as Sarnafil Inc, to design an innovative roof that would be resistant to wind. During the re-design phase, CQR crews were on hand 24 hours a day, 7 days a week to repair the extensive damage which allowed the continued use of the building, despite heavy damage. During the installation, CQR was unable to work during scheduled NBA games, so teams were on the job on weekends and nights. The project was a success and avoided any interruption to the facility’s scheduled events.